Number 1. Ummmm . . . .
Actually, there haven't been any advances in cold fusion. Sorry. 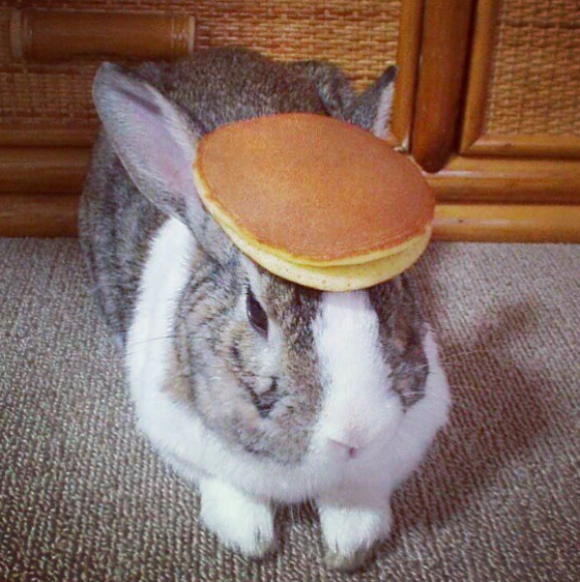 So here's a picture of a bunny with a pancake on it's head. What a complete moron Buzz Skyline is! Go ahead, be a complete moron, a skeptopath. I invite you to be a skeptopath. I WANT you to be a skeptopath. Because soon you will have to change your handle because everyone else will also know that you are a complete moronic skeptopath. There have been many advances in cold fusion. Apparently, you didn't bother to read them. Are you thinking of things like the cold fusion powered car? I keep waiting. I'd be the first to buy one. no, that would be the link that proves you didn't bother to read them. I've read a lot more of this crap than I care to recall. I'll gladly eat my hat if CF or LENR ever pay off. My hat, BTW, is not scared. And they are . . . . ? This is really not true. There is a small number of serious researchers both in academia and industry who have (a) reproduced, albeit sporadically, the excess heat results of P&F using highly sophisticated calorimetry and are (b) trying to understand how to make the effect reproducible. For an overview, I would invite you to look at a segment 60 minutes did on the subject a few years ago: http://www.cbsnews.com/news/cold-fusion-is-hot-again/ . If you Google and investigate some of the names and institutions, i.e. McKubre at SRI, Duncan at the University of Missouri, and others, you'll find a small but active cadre of serious (i.e. PhD-holding) researchers who are pursuing this subject. Sometimes they're out in the open, as is the Sidney Kimmel Institute for Nuclear Rennaisance at MU, but just as many are hiding in obscurity, afraid of the negative publicity this subject brings. I'm gonna go ahead and file it as dead. We've had 25 years of minor anomalous heat production and claims of fusion that are at odds with well established nuclear physics. In other words, nothing has changed since March of 1989. Yep some people are pursuing the pathological science, but some are also searching for big foot. Looking for something doesn't make it real. electrolytic F&P phenomenon is reproduced by the condition were not known by the team at MIT/Caltech in the first 40 days, and physicists were not competent in calorimetry enough... (it is a chemist competence since the 50s). another problem , is tha physicist method are too rigid and misadapted to material science experiments in complex chemistry context. It should have been managed by chemist who know what is real world reproducibility as we see in catalytic chemistry and semiconductors. please don't talk of that subject without much documentation starting from that book, even if it is to check every citation (Beaudette donated his archives, you can consult them) and compare with wikipedia version. best is to read the book "The Science of LENR"
Roland Benabou have a credible model for Groupthink that match well this situation. nothing exceptional it happens regularly. you will probably get aware of it by Forbes, not by SciAm, as usual. PS: no theory yet, but if manmade science was scientific it would be no problem. sadly it is the main reason of general rejection. better is a bad theory/model than none, as Kuhn explains. It's quicker and much more balanced than the LENR/cold fusion pages. HaHaHa, "Wikipedia the teller of truth", HiHiHi, "Wikipedia the Objective source of information", HAHA please stop I'm laughing to death here, "don't need to look at other sources of information than Wikipedia" HoHoHo, I almost Choke laughing now, please STOP hahahaha. CF is alive and well, and good replications had been performed just too many times by too many good scientists in too many good places. And still it is not part of mainstream science. Why? Because experimental results would not comply to our precious theory of physics. So theory rules over experiment? In the 1930's it was the other way around. The whole issue is pure insanity. And in 2014 LENR is more "alive" than ever, with or without mr.Rossi. F&P discovered a new branch of nuclear reactions happening in deuterated condensed matter. Many theories have been suggested that would embrace both new and "old" physics. "CF is alive and well, and good replications had been performed just too many times by too many good scientists in too many good places." Professors Martin Fleischmann and Pons said it started with an idea, a dream. And we noted then and now the theoretical physicists that likes to talk. Unfortunately, talkers are usually more articulate than doers, since talk is their specialty. But talkers have never been good doers. It's the doers that change this world. I can dream about pixies too. But that doesn't make them real. There are lots of ideas that are wrong, and cold fusion (LENR) is one of them. It's OK, though, we may not have cold fusion or pixies, but we still have physics and bunnies. So it's all good. Hi Buzz, You may have missed this one, most of the world did. It is a test report on a cold fusion device from last year. Research the testers, they are all real scientists putting their reputation on the line by signing off on such a controversial test. Not something you see every day. "...The results obtained indicate that energy was produced in decidedly higher quantities than what may be gained from any conventional source. ....."
"...In any event, the results obtained place both devices several orders of magnitude outside the bounds of the Ragone plot region for chemical sources....."
"...In the next test experiment which is expected to start in the summer of 2013, and will last about six months, the long term performance of the E-Cat HT2 will be tested. This test will be crucial for further attempts to unveil the origin of the heat phenomenon observed so far. ...."
The six month test mentioned above was concluded in April 2014. The report is expected very soon, September 2014. It is being peer reviewed by three universities prior to release. First of all, the paper hasn't been published in a peer reviewed journal. Secondly, the authors didn't even know what's in the E-cat. For all they knew, it was just a chemical battery. If you give the inventor, Andrea Rossi, the benefit of the doubt you could say he was protecting his intellectual property. That would be fine, but why invite a group of scientists to observe it instead of just building a power plant and making a fortune. Either let them see everything, or forget about the dog an pony show and just start selling power. It looks like a con game to me if you refuse to pull back the curtain (i.e. open the cylinder). the quantity of energy is incompatible with chemistry, it is nuclear or even more alien. in fact those claims have nothing exceptional, except about usability, if you compare to the old LENR results. best papers are not P/R because it became impossible to publish for most authors after few years, and thus the experiments benefiting of the highest feedback and latest improvement could not be published. anyway I know that the mental barrier to realism is high, and some pathetic excuses (Pomp&Ericsson) are considered as solid while skeptic would say it is conspiracy theory and new physics, plus tons of errors and unsupported innuendo, if it was not supporting the official myth. you have to read the content of the debate in detail, considering both position, and compare their credibility... it can be funny. in short, it is a shame. nothing exceptional in groupthink situation. note that Elforsk, is still supporting his test, with official prudence, but since the test they asked is finished, you can imagin that facing attacks they would stay quiet if the result was not "interesting"
it seems also the Chinese from Tianjin, as much as Cherokee fund, are happy with the evidence they have. at least some prudence when denying this level of evidence could be rational. as I see on 9/11 conspiracy groups, the level of assumption to explain why E-cat and LENr are bunk is breaking the Occam razor in an unrealistic way. this is anyway interesting to see how a conspiracy theory can hijack the consensus. Social science will love to comment that afterward. I am also skeptical about Rossi however you do need to look at the facts. The tests on the device were done on the Request of the professors. It was not Rossi's idea. The first test was successful enough for them to conduct a long term test of the device. Rossi said that the market will decide if it is real or not. He claims to have sold a couple of experimental plants. Furthermore, some big investors have bought his IP this year and patents are pending. They can take 5-10 years to be granted so IP could be an issue for 'letting them see everything'. Almost every company is very protective of their IP. Don't think Apple, Google ect. would allow full disclosure of their IP even if they have patents. You can test the energy generation without knowing every single detail of the device. I also thought it must be a con at first but i am not so sure anymore. Time will tell i guess. "So here's a picture of a bunny with a pancake on it's head." James, that is hilarious! 5 points for creative writing. But what, pray tell, happened to you? Did you wake up this morning dreaming about cold fusion? Or have you not had enough hate mail this month? Thanks, Steven. I do indeed like bunnies with things on their heads. The twenty-fifth anniversary is my inspiration. I may just schedule this post to appear every 5 years until something changes - that is, until people give up the futile pursuit or start selling cold fusion generated power. I can't see either one happening, so keep an eye out for the bunny in 2019. I understand, but the actual anniversary, as celebrated by all true believers, is March 23. Are you still reeling in the afterglow of the silver jubilee, or did you simply realize that you missed it? Maybe you were preoccupied with something of even greater significance? Yep, it just occurred to me that it was the 25th anniversary year. Fringe and pathological science are not usually in the forefront of my thoughts. How about the works of the US Navy SPAWAR (San Diego) ? They've got peer reviewed excellent work on LENRs. Did you bother reading that ? You should take a look at http://lenr-canr.org/ which compiles a lot of peer reviewed papers on the subject. Buzz Skyline, keep your cute pancake bunny pictures for the performances of current hot fusion reactors ! Don't believe anything you read in Wikipedia. The information is unreliable because, it is open to corruption by political and corporate interests. Now there is some serious paranoid delusion. Not at all, If you look objectively you can see it doesn't follow the most basic Wikipedia guidelines. Articles about LENR and CMNS have been merged into the article. This places various experiments and many hypothesis in an article about palladium electrolysis. It is like merging an article about mammals into an article about rabbits. The fallacy is repeated where Pons and Fleischmann become the parent item of cold fusion. One should look if the sub topics are notable enough for their own article. There are simple notability criteria for that. Despite hundreds of books and thousands of news articles the Pons and Fleischman some how failed the notability test? Why would skeptics describe it as THE fiasco of the 20th century if it was less notable than the American Fuzzy Lop? By those same Wikipedia guidelines LENR should be equally worthy of an article. In stead we see that most of the CF article is dedicated to Pons and Fleischman. If an item on an article merits excessive coverage one should create an article about it. A tiny sub set of other palladium researchers have been reduced to single sentences while others and all LENR topics are not covered. Things like ball lightning. There should even be a Cold fusion in popular culture article, it is notable enough. Like Terraforming in popular culture, Dyson spheres in popular culture or the African-American Civil Rights Movement in popular culture. The criticism section, with sources from the 90's talks about Pons and Fleischman, it cant sensibly apply to research after that, LENR it not criticized at all? Then there is the awkward value attributed to the US DOE report and it is repeated all over the article. It is excessive use of a single source but look what kind of source: It was a talk-only review without any experiments. After the review they took a vote and the "lets not research this" group won by a margin of 1 vote. As the DOE they couldn't find the budget for a flask it is very far from the quality their reviews can have. The article history has so many tiny tweaks that deleted contritions are impossible to find. All discussions end with a proposal being refused. There is the use of vote counting to establish what "most scientists say" and to get the slur "pathological science" into the article. Normally that requires sources. I think Blacklight Power inc, Solar Hydrogen inc and the E-cat can be quite sensibly be referred to as LENR but when one tries to write a LENR article one is told that the topic was merged into the Cold Fusion article, then when one tries to write about them there it is all of a sudden not what the article is about. Anyone can see those things. Need to get this out there for someone else to follow up. I guess most know about STMicroelectronics patent app for LENR. Well there is someone on the Supervisory Board called Jean George Malcor. Jean George Malcor is CEO of CGG - a major player in the Seismic industry. I should know I work for them. We are currently going through a massive reduction in fleet capacity. 1000 jobs (10%) of workforce. I suspect something big around the corner. I hope someone else links the dots. Calling these researches cons does not speak for you. I thought scientist are decent people who do not need personal insults to make their point. These papers have been published in peer reviewed journals and are not intended to con anyone. In the worst case they are a wrong interpretation of research results but done in good faith. There is nothing wrong with being wrong, that's an aspect of the advancement of science. Criticize the methods and results of the papers. Calling them cons is a cheap shot but it saves you the work of actually reading the papers. The problem with the test and other materials you cite is that they are not reliable. In the latest tests, the professors used the inventor's (Rossi') lab, and measurement equipment and methods supplied by Rossi's close associate Levi. Worse yet, they did not properly check the input power wiring which is almost certainly what Rossi used to scam them. These professors are unknown and had no evident experience in checking for deception. Rossi is a convicted felon who as recently as 2004, cheated the US DOD out of millions of dollars by selling them surplus junk made in Russia under the pretense of developing new thermoelectric converters. None ever worked. The current test is a joke. It doesn't take six months to decide if the device works or not. It can be done properly in about two weeks. But one has to anticipate and look for DECEPTION. The pattern of claims, evasive answers to perfectly good and safe questions, and promises of future revelations which never come true has been Rossi's consistent style both in this silly claim and in his DOD debacle. There is no reason whatever to believe a single word he says. In my opinion, there is every reason to believe that he is perpetrating an investor scam. Note that a similar outfit with similar claims called Defkalion also gave ineffective and almost certainly deceptive demonstrations and has now dropped off the radar. Their Canadian office is closed, nobody answers the phone and their web site reads "This Account Has Been Suspended". It's not closed gracefully. It's closed probably due to nonpayment and has been so for several month. They seem to be pretty much belly up! For all the claims for LENR for so many year, nobody has ever proved that they make kilowatt level power. NOBODY. @maryyugo, it's too bad we don't have 'like' buttons for comments like yours. "For all the claims for LENR for so many year, nobody has ever proved that they make kilowatt level power. NOBODY"
That is true, and Defkalions underhanded practices do not inspire confidence. however, the reality of anomalous heat production has been tested and proved by many highly qualified professionals, independently throughout the world. MIT hold an annual course called LENR 101, presented by Professor Hagelstein. As part of the course, Professor Hagelstein and Dr. Mitchell Swartz construct a demo cold fusion reactor they called the NANOR, and put it on public display where it remains available for viewing for several months. Your objection that there is no proof for kilowatt power is true, however we are certain that tens of watts of unexplained energy can be produced reliably and routinely. Fusion scientists have yet to achieve energy parity, with energy output equal to energy input. LENR devices have accomplished over unity, with energy out, greater than energy in, at a small fraction of the cost. This is a remarkable accomplishment which certainly merits further study. When the the third party independent report is released, it will prove conclusively whether or not Andrea Rossi is a scam artist as you believe. The reason for the extended 6 month test, is to prove that the reactor can operate reliably for several months, not to prove the validity of LENR. This is essential for a commercial energy device. I am waiting for the report, before making up my mind. Why don't you wait until after the report is published before passing judgement? Even if the report is negative, we are still left with the reality of unexplained excess heat, which begs further study. Rossi is innocent of fraud, and only condemend for lack of polluting storage permit, and of money escape during the backrupticy. you are factually falce and rtepeatedly refuse to correct what the justice have published. you theorynon DoD does not match what DoD have said, nor that Rossi was working for a company wghich still exist, and was doing consulting in that domain since long. their test was a classic tentative to develop a cost efective TEG based on anisotropic nanostructure... it did not work and no manufacturer couls reach the target. those data are in that long messy thread, with italian sources, with DoD, with reports from various actors and various interpretation. maybe one or two of your interpretation are noit totally impossible, while most are, but sure you have no evidence. that you are consensual denialist does not prevent you to bring evidences when you face evidences from justice, from common sense, and while you violate Occam razor. Defkalio i agree is until provcen otherwise a parasitic partup who tried to fool Rossi, then Gamberale, and many ... if they are real they just have to do like Rossi. for Levi&al arxive test, there are pathetic excused to deny it's reality. the test was done without the presence of Rossi, and the testers have the rioght to touch the reactor, unplug and rewire all. innuendo, ad hominem attack. those guys are unable to udnerstand what is a blackbox test, while the test bench can be replicated (just have to ask fr a rector). notice how stephan Pomp refused to participate to the second test while he was invited... this shows that the testers were not afraid to have a skptics, but the the skeptics are afraid to see the reality. that is very common in groupthink . Since the beginning all the consensus on wikipedia is based on rejecting all evidence and claiming they have evidence while they only have theory and refuted assumptions. anyway Mary no hope to convince you, since I told you that thousands of time and you could have checked yourself that you were factually wrong, like wikipedia is factually wrong when sayin there is no peer reviewed cold fusion, papers (there are hundreds of peer reviewed papers, despite Nature and Science terror on the journals that dare to face the Fatwa). especially if you see that the few cold fusion papers about "debunking" of F&P are refuted like students errors... Lewis and hansen, like Morrisson have done students if not misconducts. and nature/Science refused to correct the errors. so yes they shoudl not be considered reliable sources, as more and more old scientists like Schekmann says. at least this should coll for les confidence in the critics. it is going to an end, but sure none of the deniers could say he was not warned. the affair was clear since 1991, when the serious experimenters did their job. Alain, you are lying when you claim that Rossi is "innocent of fraud". He was tried and convicted several times in the 1990s and into 2000, both for pollution charges (creating toxic waste dumps), as well as for business fraud. It's true that his pollution convictions were overturned, not because he didn't create toxic waste dumps, but because it wasn't illegal at the time. Harold, you should double-check Hagelstein and Swartz' work. Last I heard, he was only claiming a few milliwatts, not watts as you claim. There's also the question of why he is presenting his work at "feel-good" lectures at MIT [LINK], rather than an appropriate forum for what would be such a monumental discovery? I see that among the other IAP courses are: "Ballroom Dance", "Advanced Knitting" and "How to Spot a Good Deal at a Yard Sale or an Antique Store"
yes he was condemned for lack of pullution permits, but not for the fraud scheme he was accused of. you spread the lies that he was making fake billing, but justice decided it was real business, with clients,, with industrial oil produced, yet considered illegal due to new laws. when you confirm my point is when you say "because it was legal before". I agree. Rossi started witha legal real business, transforming waste to oil, but laws changed and he get condemned for lack of permit. please stop trying to fool the people who don't know the file well. Alain, I supplied references to the newspaper articles proving everything I said. If you have any actual evidence that Rossi's fraud convictions were overturned, you need to provide them. And, no, "Rossi said so" is not actual evidence. from an rational analysis of those data, from Mats Lewan book, you simply see Rossi is stubborn, loose, but creative and working hard for his ideas, even stupid. The failed demo you denounces, were either working, or visibly broken with subborn Rossi refusing to admit it... Mats Lewan explain it well. It is not stage magic, but bad test, last minute changes, immature technology. Stage magic and mythology is always looking good, like Nathan Lewis theory, like MIT experiment tweaking. anyway scientifically it is useless, because of Levi&al test. no way you will ever accept it. maybe like NYT who bashed Goddard on his stupid ideas of rocket, or SciAm who bashed Wright Bro for fabled performance (despite public tests, and multiple reports), you will take 60 years to give excuses. The Believers' Credo states that F&P's results were not replicated by other scientists because they (the other scientists) did not know how to do it. What they don't explain is why F&P were not able to replicate their OWN results in 25 years. it is replicated. in various way and many associated effects too. F&P replicated themselves and reached higher power level. it just took more than 40 days. the biggest value of Longchampt paper is not that he reproduced exactly F&P, which is useless as reproducing the same experiment with other calorimeter increase confidence in the measurement(eg: Seebeck like Oriani, Closed cell flow calorimeter like McKubre), it is that it proved 7 years later the hich quality of F&P calorimeters, far ahead the one of MIT,caltech or harwell... not a surprise if one accept that Fleischmann was one of the most experienced calorimetrican and electrochemist on the planet with Bockris. page 138 in tha conference proceeding, Miles and hagelsein published "New analysis of MIT Calorimetric Errors" that get even further in MIT amateurism. not even discussing on potential trick of the data as Mallove, the editor of MIT paper, get convinced of (not all LENr experts agree with mallove as they rather blame wishfull science and incompetence, especially when they recalibrated to make excess heat disappear, assuming it was errors). don't feel ridicule, your ignorance is mainstream. change of source, your brain is not concerned; at worst your education on epistemology. Fleischmann help replicate the effect for the US Naval Research Laboratory. 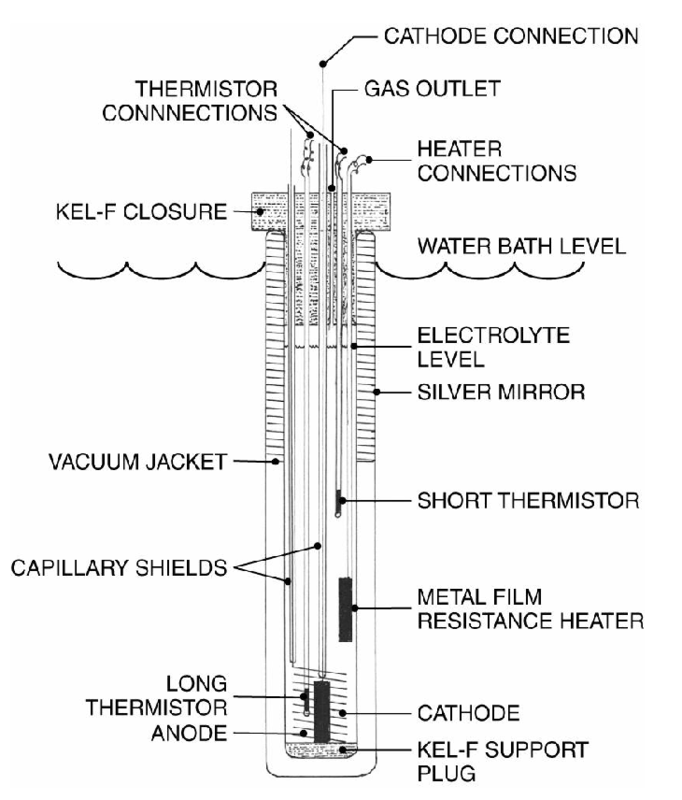 A number of cathodes produced interesting results while many others did not give any results. Advances are made 1 step at the time. "free energy production" a billion times, but you will NEVER get any useful energy from it. What has been - sometimes - replicated is a tiny amount of excess energy. If they haven't been able to scale it up in 25 years, well, research at your own risk. So 25 years is the maximum time to get anything practical? If we follow that logic the hot fusion research should have been abandoned a long time ago. most skeptics are forced, to face reality, to use an incestuous recursive logic. since they don't admit data they can claim there is no data and thus that data which they consider are bad, confirmind there is none real. we have since few years breakthrough of usable energy at interesting temperature. the absolute amount of heat is not important (scaling up is job of engineers), but power density and working temperature is the key to industrialization. Even the early test of Fralick (gas permeation at high temp), replicated at Nasa GRC after being replicated in Uni Tsinghua and by Biberian, open practical hope. The real challenge is stability since the reaction is autocatalytic. The most shocking critic, but i'm used with it, is people who simply say that once there is no explanation you can ignore facts. This is exactly the behavior that Thomas Kuhn describe. anomaly are rejected (killing Popper) until there is a working theory that explains all pas facts. If you need a theory you can read the book of Edmund Storms, "The Explanation of LENR"
but the book covers much more. there is a wide review of the various proposed theories, of the theoretical challenges, of the experimental results , and additional details on the hydroton theory. anyway real scientist should not need a theory to believe in instruments, provided it is well replicated and match century old calorimetry. honestly breaking the two-body free space assumption of physicist QM is much more credible than breaking the laws of thermodynamics and calorimetry as Huizenga/Morrison propose. Calorimetry is hard to do properly, and very easy to screw up, especially if you're out to verify a small effect that you want very badly to be true. If you think that QM is wrong, despite the enormous body of research proving it to be true and countless devices that rely on it (lasers, transistors, MRI machines, and so on and so on), then you might as well give up on physics altogether. Although, your comments make it clear that's the path you've already chosen. Time will tell, of course, so in five years, I'll post another bunny pic unless someone manages to break out of the cold fusion quagmire and actually build a cold fusion generator or functioning machine of any sort. I'm completely certain that's not going to happen. So, look for the pancake bunny in 2019.
it is not because physicist are culturally incompetent that they can dismiss competent experimenters. It is tricky, and it is real that many negative experiments, end all the authors of critical papers (Hansen, Lewis, Morisson) except Wilson (who in fact confirmed beside correcting) had done basic mistakes that competent calorimetricians know about. yo claim there is an artifact you have to find which one.. In can just say LHC, which is not a reproduced experiments, is wrong in it's mesurement... needing no evidence. It would be less unfair than what is done on cold fusion. where there is also basic directive to make a calorimeter. best is anyway to let professional do calorimetry, and work on theory to explain the results. the summary of history is that cold fusion is a chemistry experiment that was massively replicated, with huge signal over noise. Simply physicist could not find any theory, so they assumed the chemist were wrong as you do. no need of any evidence (required since there is none) since physicist are always perfect. Some were more honest and admitted they have to find a better theory, but they were insulted. not very motivating. The best research is risky sometimes. Low probability, high payoff, don't see nothing wrong with that. Happens all the time. Its not fair to on the one hand criticize those how do research as gullible, crazy, unscientific people and also demand that the technology be scaled up. You can't have it bought ways. Just look at the tone of this article, not meany people dare/are able to do research in the field. Maybe if people stop being such righteous aholes on the subject things might advance a little faster. Physics leaves no room for cold fusion. Sorry. In order to start a fusion reaction you need huge quantities of energy. That is why fusion generally begins in the heart of a massive gravitational field, with significant compression of Hydrogen atoms. Fusion just cannot be initiated at 30 degrees Centigrade. you cannot exclude that there si some collective phenomenon. your hypothesis is based on hidden assumption of two body physics in free space. too bad it is something between bulk and surface, probably none of those, probably in undetermined alloy and lattice context, in non-equilibrium conditions... I agree it is a mess, but science is not easy. the ego of physicist is so high that they refuse to work on uncertain phenomenon in uncertain condition, even if it is intriguing and anomalous. more ego the curiosity is not good for science. Just read the theory of Edmund Storms, the less weird, based on careful analysis of the experimental results accumulated since 25 years. best is to read his book, which contain more details, better review of experiments and theories, with numerous problems listed. about why physicis refuse anything without a theory and absolute reproducibility, unlike many real science domain like chemistry, you should read the book of Charles Beaudette in the second part "Validation"
drboblog, I'm pretty sure that's not right. The glass of water analogue is not something I have taken out of a text book, its a quote from my teacher. Supposedly it can happen but its a very rare reaction with low probability. I have also heard that Nuclear Fusion takes place inside the Large Hadron Collider - sometimes - with a very low probability but slightly higher than that of Fusion processes in a glass of water. And then I heard about a 4th Nuclear Technology called Muon Catalyzed Fusion where Fusion takes place quite a lot but not often a lot yet for commercial practical technologies. Then we have the X - factor, anomalies in nature which we can not explain, for example the "Oh My God Particles". Lets say a "Oh My God Particle" collides with my plate of porridge in the morning, that would make a whole lot of mess in my kitchen all though its just a subatomic particle. The Oh My God Particles carries 40 millions times more energy than the Protons within the LHC, no wonder that no one have been able to explain them fully yet. Being hit by a Oh My God Particle would feel like being hit by an Apple coming at you at 100 km/h, quite an energetic reaction - right? The Coulomb Barrier makes sure that particles does not fuse to often, and thank God for that because I kind of like matter being stable rather than unstable. Within Cold Fusion - which is in fact a material science based on nano technology - we see that there is reactions that can take place under just the right conditions. What is being done right now in labs all over the world (ukraine, japan, china, finland, france, italy, us......) is to research on how to optimize materials in order to make sure that these reactions takes place more frequently. Hydrogen Atoms are very very small, we use many millions of them. If we can have a minute amount of them create a reaction forming Helium4, then the excess energy from that reaction whatever it is - is more than enough to cool keep your Igloo cool during the summer. DB, I confess, I misread your comment (I was browsing on my phone). I thought you said "Fusion will take place in a glass of water if you let it stand for ten years." Based on some of your earlier work, these calculations would take your no less than 5 minutes. I think however that you should take things to another level. If you could calculate the probability of using spontaneous fusion reactions in glasses of water as a commercially viable power source, then I would be really impressed. Heck, I would even publish such a scientific paper on my webpage after peer review. The problem however is - as you correctly pointed out the the probability of such reaction is very low. According to my estimations we would have to wait at least between 4-10 billions of years before such an reaction takes place and the water would probably evaporate long before that. To back up your theory with observations within our lifetime we would probably need many billions of glasses of water in some kind of purpose built underground particle detector. There is however something else I rather want your opinion on. Something even more taboo than Cold Fusion that few people in the Science Community dare to address - may I? In some top japanese kindergarten, there is a competition to get in. and they have successful kids who have moved the bag, and understand the secret of life, of entrepreuneurship, and of cold fusion. They don't have a PhD in physics, but they understand some secret of nature. the second is that if cows don't fly, this mean this is not cows who fly, not that no animal fly. If we only study birds under water we could easily be lead to believe that birds does not fly either. In the right environment a cow will most certainly fly! The cow in the vortex of a tornado is of course a great example of how the environment at extreme situations can change the properties of an object making it behave different than what we are used to. What is crazy is that such incredible example perfectly match too this epistemology failure. I never imagined that cow would fly, but they do. The worst is that I jumped from plane designed to transport cattle. I should have known. Something big must be about to happen, Mary Yugo's back. Not sure what you mean "Mary Yugo's back." Where did I go? Rossi, on the other hand, is fading fast. Hey, he says his newest test could be positive or negative! His only honest word in a long time and it's a tautology! Something big? Nah. Rossi's deconstruction isn't big. But it could be fun! Is reproducibility a must? Is there something wrong with the methodology especially based on the scientific method which is overturned by many philosophers of science? Have physicists become the arm-chair philosophers? Why ridicule perpetual motion machines if they can be checked to deliver the promise and benefit mankind? What is preventing physicists to collaborate with electrochemist to do the checking of cold fusion for nuclear processes? Why is there experiment (Michaelson-Morley) before the theory (special relativity)? Why is there theory before the experiment? How can the editor banned a particular topic like LENR? Whose authority does the editor rest on? Let the LENR product by-pass the physics scientific enterprise and write yet another lesson in history about existing human prejudice. Rossi is trying to sell heat and make a living, by passing the physics scientific enterprise. Keep this blog as a witness of human prejudice... Don't delete it. It is a record for people to reflect on the importance of keeping an open mind without being hyper-critical at the same time trying not to be be too easily to be taken. Rossi is selling heat with his e-cat SK (cold fusion) reactor. Why don't you, Buzz, buy some heat and verify the COP?